Whenever we get into the word computer we always come across the word security. In simple ” it’s nothing but having the hold on your own personal data”. You always want your personal data to be with you as it is personal. By some time, your data may shared or stolen by others without your knowledge there comes the vulnerabilities (Security Breach). Loophole to hack your computer bypassing the security system of your computer. To Disable Java and its plugin on all your computer is the latest and hot update from the Homeland Security which make the world turn the head towards that. Yes. Java had some security breaches while since the release of its version 7. May this make the homeland security to step into the action of disabling Java and advise the all computer users to disable Java or even uninstall to increase the immune of the computer users. This security warning includes Mac and also the Linux users. Is Java 7 really having vulnerabilities? The latest version of Java 7 promotes them self as “secure, fast and reliable” but really the Version 7 has less security compare to its old version. Some of the security breaches were not fixed up to the mark with the latest version of Java which makes the Hackers to grab your personal data easily. Sometimes it allows the hackers to drop some code of Malware into your system through the java security manager. Are having high risk of infection. All versions of Java 7 through update 10 are affected and Web browsers using the Java 7 plug-in are also at higher risk. How it will affect your Computer? A vulnerability in the Java Security Manager allows Java applet to execute arbitrary code, since Java is a programming language used to execute some set of codes for completing the task as all of you know. Its main advantage is it is machine independent. This makes it development at high rate but the same point now affecting the security as it is machine independent it will not know what the computer OS is just drop the unwanted codes into it through some interactive games or web pages. 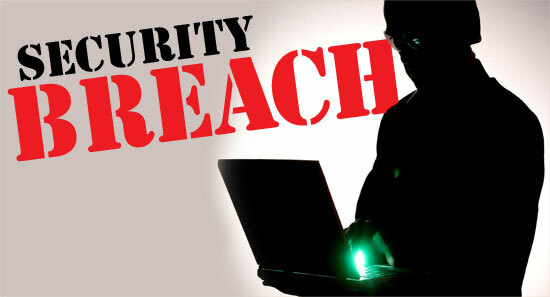 The security breaches are not clearly identified and fixed even in the updates provided by the Oracle recently. In the Security blog about Oracle they mentioned that two of the vulnerabilities were fixed by the update and nothing will not run without the user’s knowledge. The security experts feel that the malware will get the hold through some interactive online games or through the web pages as I mentioned above. At my point of view some time user may grant access to the unwanted codes without their knowledge as the malware are induced into the system with the help of web pages. This affects the security of all the OS. Even the OS got its own High powered security this vulnerability in the Java make the OS infected. By chance you may loss you hold of your personal data. Because it creates a path for the hackers to enter into the system. This security lack of Java make the hackers to dip their hands in your system. The Java Deployment Toolkit plug-in and Java Web Start can also be used as attack vectors by the hackers. Is turning off / Uninstalling Java 7 is Enough? Apple tried to bring Java with a custom version for apple mac computers few days before, and that too failed due to security issues. with the recent homeland security dept warnings, people are really worried about the java usage. oracle should do something about this.